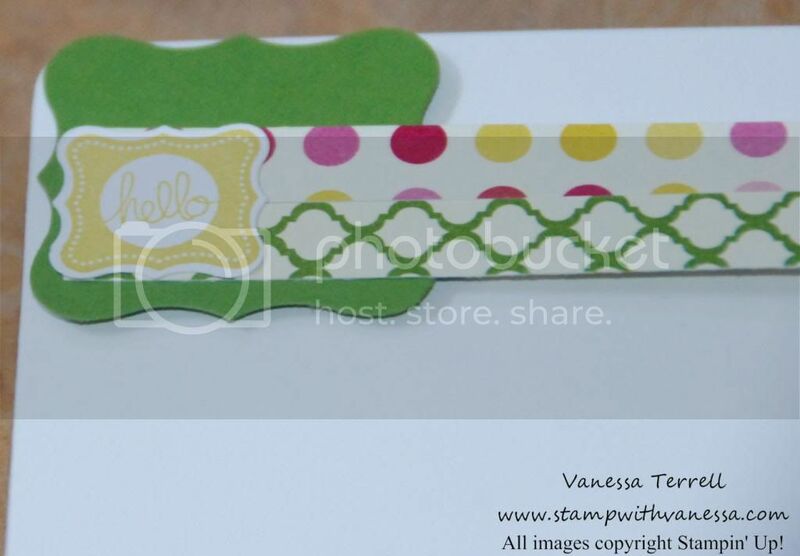 Stamp with Vanessa: Sale-A-Bration Begins Today!!!! Host - Have your friends over for a party and earn great fun Sale-A-Bration freebies with a qualifying order! Contact me to schedule your Sale-A-Bration party. Shop - For every $50 you spend, you'll get a FREE Sale-A-Bration product. Visit my Online Store to start shopping. 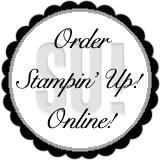 Join - Party all the time when you become a Stampin' Up! demonstrator and join my team! Plus, when you join doing Sale-A-Bration, you'll get 25% more products for FREE in your Starter Kit. Don't wait, take advantage of the limited-time offer today! Click here to see all the fun FREE products you can earn! Now, I know you didn't stop by today to hear me ramble about business happenings! So hopefully you won't leave disappointed. I do have a project to share with you today. 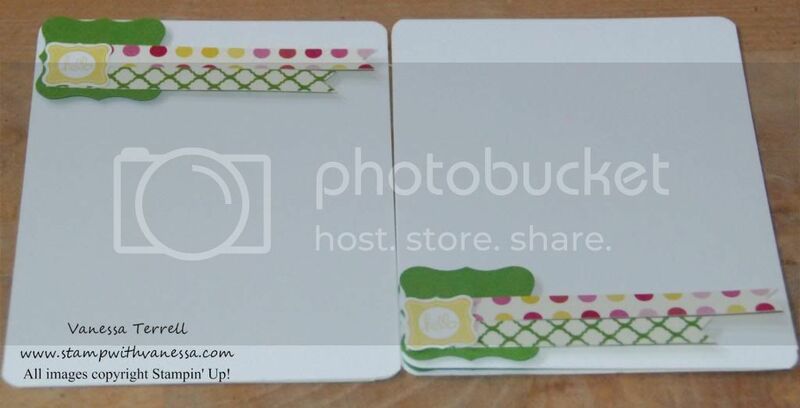 I thought I would use some of the items that you can earn for FREE, so I made some fun note cards, well I thought they were fun. I can use them to say hello to my customers as they place orders and thank them. I used paper in the Print Poetry Designer Series Paper Stack along with the Pretty Petites stamp set and Petite Curly Label Punch. The stamp set and the punch are freebies during Sale-A-Bration! This is what I came up with! First a close-up of the image I used from the Petite Pretties stamp set! Here's a look at the set! I think it's a fun way to say hello! What do you think? Wow Vanessa...you are amazing with those stamps! Love your creations. Keep it up! Stefani, thanks for your comment and for stopping by! Cute hello card. I would love to get something like that in the mail. Liz, you just never know what can happen! :) Thanks for stopping by! Diana it's so much fun, but I know what you mean about not having the time. Thanks for your comment and for stopping by! Thanks Jean and thanks for stopping by!